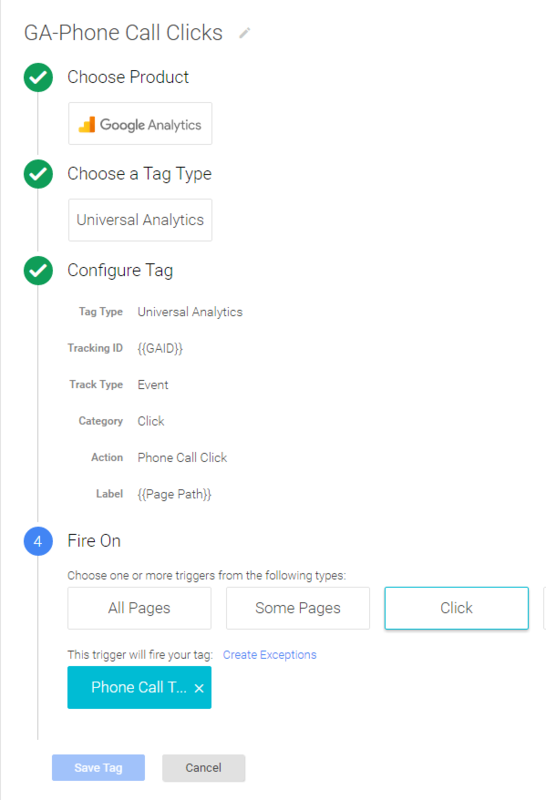 Before you get started with implementing an event listener in Google Tag Manger, it’s important that you have the correct html markup to open the mobile device to call. To trigger, the phone call with a link. Use href=”tel:555-555-5555″ and then close the html link. 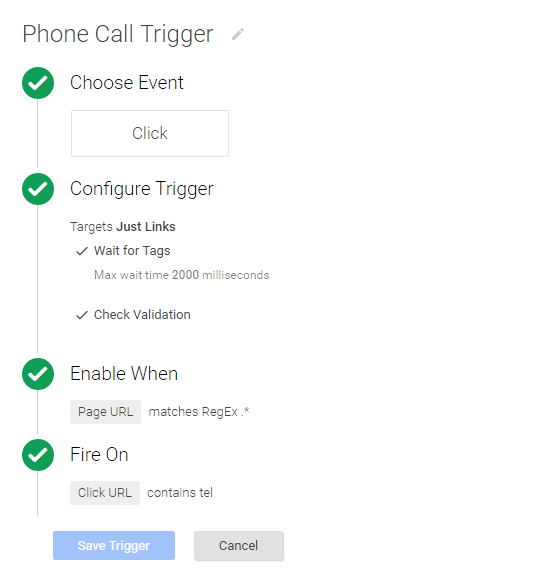 Now that you have the link set up ,you can open up Google Tag Manager to track phone calls. We have need to enable this trigger on each page with the . * and define it to fire on a link that has the tel: markup. However, if you have the phone number on one page, you should just use that single page when you configure the trigger. 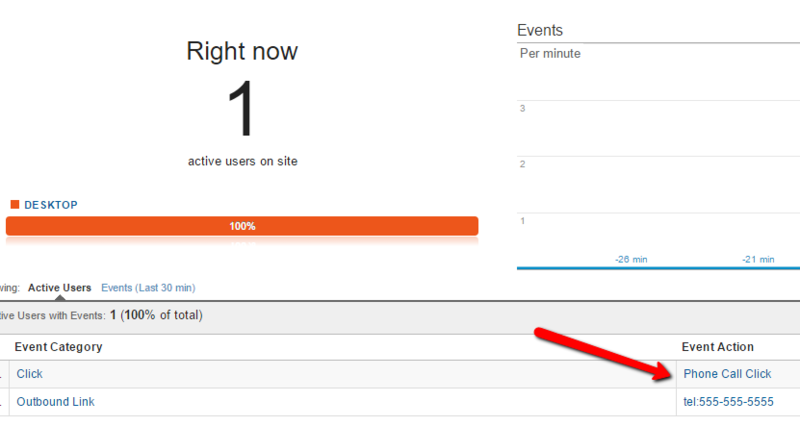 Check GA Real Time Events to see this event come send data to Google Analytics.